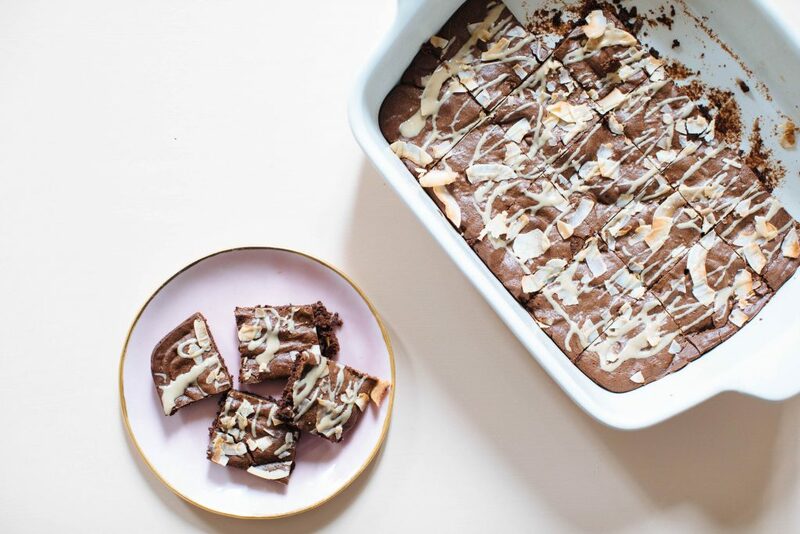 Gooey Toasted-Coconut Chocolate Brownies are gluten-free, delicious, and simple to make with calcium-rich tahini. This is the chocolate brownie recipe for those times where you want something super sweet and a little savory. Tahini, which is made from ground sesame seeds, is rich in calcium, healthy fats, and plant-based protein. Along with being a nutrient-dense option to add to a brownie recipe, it’s a bit earthy creating a savory-sweet combination. If you don’t enjoy tahini or just ran out, you can easily replace it with any other seed or nut butter you have stocked in the pantry. A couple of other additions to this chocolate brownie recipe are to add chopped walnuts, pecans, or dark chocolate chips to add a little texture.